The subject of the unconscious mind is a very tricky one. The subconscious by its very nature is something that usually operates completely outside the bounds of manual thought or control. Imagine walking through a deep and dense forest in the dead of night; this is the level of difficulty one would face simply trudging through the depths of your own mind with no knowledge or guide and it can be a more dangerous prospect that many would believe. Here we will attempt to shed some light on the subject of speaking to your subconscious mind, and show you a path through the forest. Before we could ever attempt to directly contact our own subconscious, we must first understand what lies there. The more knowledge one possesses on a subject, the more control one has over it. Do you believe that a fighter pilot hops into a forty-million dollar flying killing machine with only a cursory understanding of it? Obviously not if we mean to live through it. Well this is no different; the demons and emotional landmines that cover the subconscious landscape can in fact be very dangerous. So let’s get right into it. 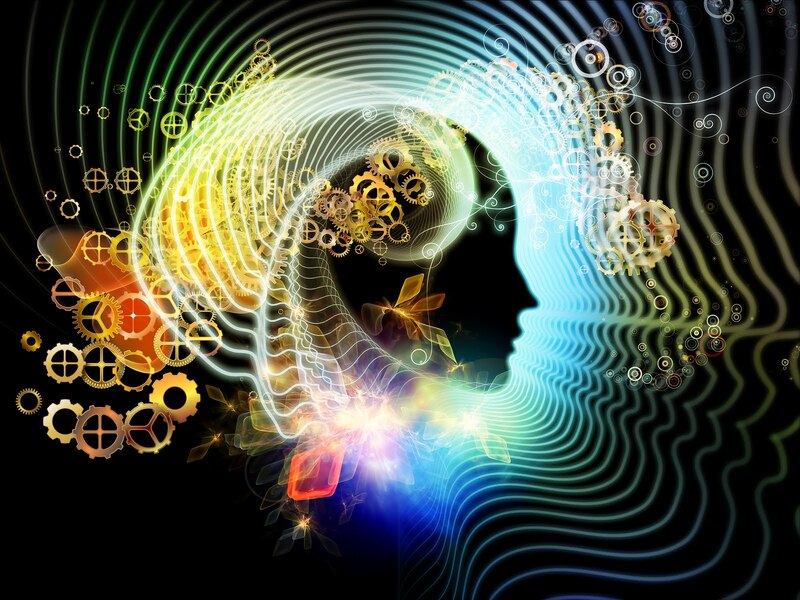 The subconscious mind is made up of a myriad of mental processes, most of which were originally designed to help us. Painful memories and the feelings and emotional states that are connected to them, are stored here to keep us from getting into those situations again. It works like this: A woman finds herself in an abusive relationship with a habitual drinker. The smell of liquor, and the frequency with which he drinks as well as a myriad of other factors surrounding the painful incidents are all linked to the physical and emotional pain of it all. When this person finds herself in the next relationship, her defenses may shoot up whenever he drinks. Perhaps the volume of her abusers voice would go up significantly when during his violent states. Now volume is connected, and any overt loudness will cause her to shut down. You can see here how these reactions may in fact protect her from getting involved with another abuser… or it may cause her to throw away a perfectly good man that displayed no actual violent tendencies. These processes can be very complex, as in the above example, or they can be extremely simple. You burn your hand badly on a cast iron cooking pan, and now every time you see one you start quickly tapping at it to see if it’s hot or not. See… it’s not so crazy when you think about it. Unfortunately the complexity of human thought can turn the impulses into a jumble of illogical thoughts and reactions. Have you ever seen or heard or smelled something that immediately brought a feeling of discomfort or fear? This is the subconscious working to protect you, and it sometimes does its job all too well. The other function of the subconscious is to regulate certain physiological and mental functions, so that we can go about our days without being troubled by them. The truth is that no matter how intelligent you are, if you had to think about everything your body and mind was doing from one second to the next you would very likely go quite insane. Like myself, there are many people who wish to brave the depths of the subconscious in hopes of freeing themselves from the bonds of illogical thoughts and actions. The truth is that this is easier than many believe. It’s simply a matter of repetition. You see, the energy that surrounds the memories and mental prepossess in this part of the mind can be rendered inert by bringing them into the light. This means exploring the known paths until you come to the unknown demon that scratches at your mind when you don’t want it to, and then examining that demon so thoroughly that you realize it has no claws and no hold over you. Here’s how it works. Say a young man has severe claustrophobia due to an indecent in his childhood in which he locked in a closet. He “knows” that’s the root of the problem and he tells everyone “I have claustrophobia because of this thing when I was a kid.” Think about this though, when you really understand the root of a thing it no longer holds sway over you… so why is the young man still claustrophobic? If he examines that memory over and over again (which can be a scary proposition for many people), he will slowly start to reveal more of the incident. The temperature of the air in the closet, the darkness, the feeling of what might have been a spider crawling on his skin, the muted sounds of his mean friends laughing on the other side of the door. Bit by bit, the memories of the incident may become less intense as he examines them. This is because he is bringing the memory over from the subconscious to the analytical conscious mind. You see in the subconscious everything is equal to everything else because it has to be. Going into a pitch black area, even if its a wide open place… equals the chance of being locked up. Dark = closet = bugs= closet= muted laughter= mean people = bad people =…. =….. =! So when he’s at a party as an adult he may suddenly feel the urge to leave and not know why. Well the temp of the room and the muted laughter from one of the other rooms will have re-stimulated this subconscious protective response. 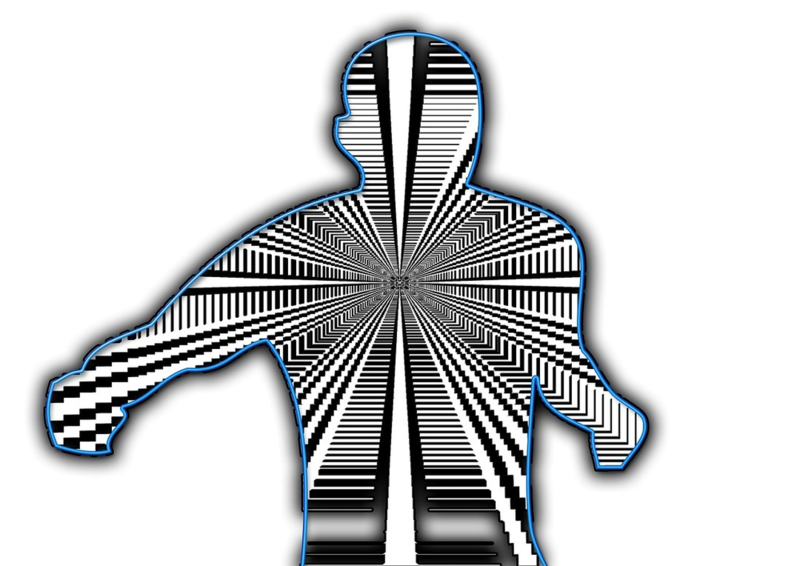 To communicate and navigate the subconscious takes will and discipline… and it can be very dangerous to manually re-stimulate a painful incident and then run from it before you’ve dispersed its energy and examined it thoroughly. This is a fairly new concept to most people and to the mental health community, but when you think about it it makes sense. 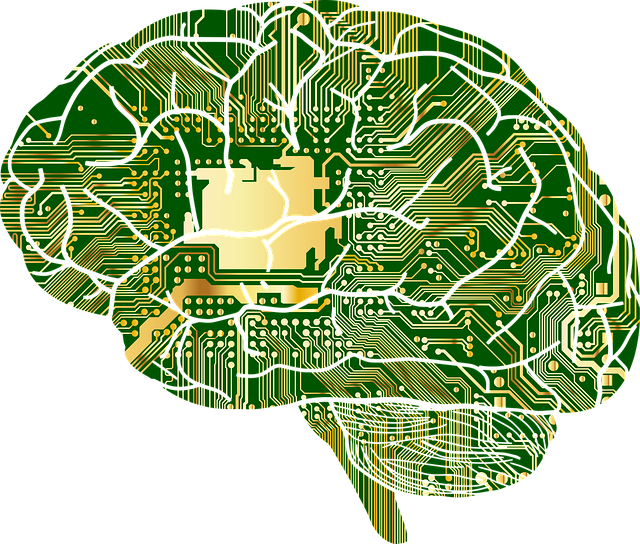 In our next article we will discuss the connection of older, similar memories that keep these responses alive as well as the potential consequences of improperly exploring the darkness of the hidden mind. Until then… stay healthy, and don’t go jumping into your own mind without the proper study needed to handle it. In part one we discussed some of the basic operating principles of the subconscious mind, how it works, and why it works the way it does. Now let’s get a little deeper into some of the techniques that you can use to eliminate the negative effects that intrude on your daily life. However, I must first say that it can be very dangerous to do this alone. It is highly recommended that you choose a trusted friend or family member to help you through these processes. You must understand that the door to anyone’s subconscious is marked in big red letters: ENTER AT YOUR OWN RISK! As we’ve previously discussed, the only equation that the subconscious works with is X=X=X. It’s a great way to keep you out of danger, but unfortunately it can get out of hand. This makes it very easy for painful memories to be connected to each other in some not-so-obvious ways, and with each connection and the passing of time those links can become more and more convoluted. Let me explain: A boy nearly drowns as a child, this inspires a slight fear of water but not enough to keep him out of it. Years later he slips while at the beach and hurts his head. Then as a man, his lover breaks up with him near a spot where a large fountain flows in a city park. After she walks away he begins getting a painful headache. Soon, he has chronic migraines. He goes to the doctor who says “there’s nothing really wrong with you, you don’t have a tumor or anything,” throws him some painkillers and tells him to get more sleep and drink more water. The headaches flare up at random times. One day at the office, the next day it’s at home, and the next day at dinner with his friends. People can really start to lose it at this point…. it just doesn’t make sense. Consider this equation: Water=danger=pain in the head=stress=cold air on the day he hit his head=cold air the day his girl left him= the sound of the fountain= the water cooler at work= clicking of her heels as she walked away= pain in the head= the sound of heels clicking around his office=…=…=. You see, you have to understand just how much detail the subconscious can capture. The lighting, the temperature, the sounds, the smells, and just about any other factor you can think of is all recorded whether you like it or not. So how do you fix it? The rules are simple: Find the most recent event, go over and over and over it as many times as needed for it to lose it’s effect on you, follow the chain back to the next most recent event and repeat. Here’s how it works: Choose a partner that you trust as your guide and then get started. Select the most recent incident that you wish to no longer effect you. The reason you have another person with you is because it can dredge up a lot of pain, fear and discomfort to do this and alone you will most likely just stop and nothing will be accomplished. Have your friend ask you about the details of that incident. Go over it and try to pull as much detail as possible. Do this over and over until the memory no longer brings you the fear or pain that it once did. Then move on to the next most recent, similar event. You won’t have to dig around much. As you analyze each event it will clearly connect you down the line. This techniques can be done over and over, going back and back until you find the original culprit and bring it to light. In the case above, the young man would slowly start to see these strange connections between the sounds, smells and emotions that connected all these seemingly unrelated events. This technique should be utilized carefully, and it should be noted that you must never ever stop in the middle of a memory that still holds effect over you. People can become highly re-stimulated at these times and leaving pandora’s box swinging open is a very bad idea. If you are talking about the death of a family member and the trauma it caused and you or your partner is crying and wanting to stop… you must continue to go over the incident and pull its every detail into light until that effect is removed. Until the person can remember the incident in every detail without struggle, and without reaction. Obviously this doesn’t mean that the person no longer cares about their family member’s death, it just means that it no longer wracks them with pain and anguish when they think about it. It can take a tremendous amount of energy to plow through a painful memory over and over like this, and doing so in a weakened physical state is very dangerous. We’ve all seen people get drunk and start to cry and wildly throw their emotions on the table, but have you ever seen someone feel better with it? Do you believe that pain just went away? Before I cleaned myself up I must have done it a thousand times and I was crying and screaming about the same pains the next night. You MUST BE 2000% sober when you utilize these techniques or they will not only have no effect, they are likely to cause another painful incident…. trust me on this one folks. You should have plenty of rest, be well fed, and perhaps even take some vitamins if they’re available. The subconscious can draw an unthinkable amount of energy and turn it into pure negativity, and your body must have the resources needed to make that journey. In the next article we will be discussing the effects of nutritional deficiency on mental stability, and you will learn how to turn depression and stress off like flipping a switch. Until then stay safe, keep your head held high, and know that no matter what you’re facing you can get through it… if you know the right path. 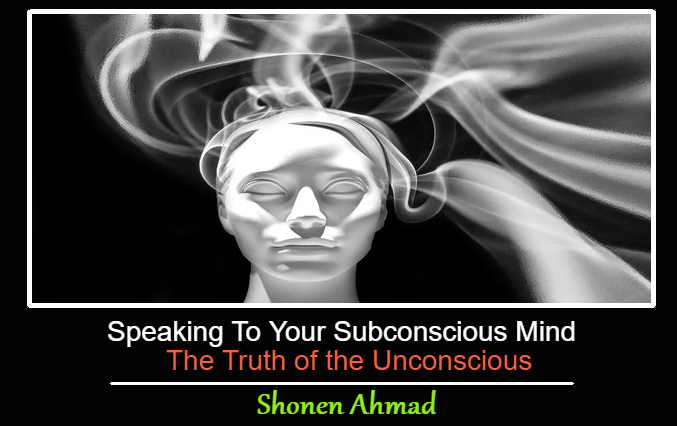 This Concludes: Speaking To Your Subconscious Mind: The Truth of the Unconscious. What Did You Think Of This Post? Let Us Know By Rating Below! This is literally everything I have been going through this past week, especially today. I am healing a lot of subconscious mind trauma but it has been intense and overwhelming. Please let me know about the next article. I am on the edge of my seat! Thank you my friend. I hope you found it usefull. Please check back often for the continuation. Hello Joshua. I’ll have the next articles up as soon as possible. Please keep checking back over the next week. Also, there is also an supplement called Gingko Biloba that will aid you in what you’re trying to achieve. Gingko Biloba is a supplement that improves brain function, especially memory. Good post! Thank you for giving this. Amazing article! Very well written and well explain. Thank you for sharing this insight! Excellent article! Very well written and insightful! R.I.P. to the author Shonen Ahmad. He was a great writer and a great individual.